Since meeting in high-school in the early '90s and releasing their debut Transnational Speedway League, Clutch garnered an almost immediate reputation of being the paradigm of stoner blues. 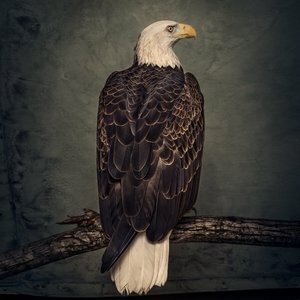 Known for their swampy, groove-heavy sound, and an iconoclastic frontman known for his large vocabulary and innate ability to weave a tall tale, Clutch were the frontrunners of a movement of heavy blues rock that included Orange Goblin, Five Horse Johnson, and Goatsnake before Dan Auerbach was even in middle school. They have enjoyed a long, varied, and acclaimed career. In recent years their success has awarded them the ability on their two recent releases, Psychic Warfare and Earth Rocker, to pursue a fuller sound with fleshed-out songs and lighthearted themes that made for rewarding front-to-back listens. It is a wonder then why their most recent work, Book of Bad Decisions, comes off as stale and monotonous. Produced in Nashville under the guidance of Vance Powell (White Stripes, Arctic Monkeys) Book of Bad Decisions exudes the unstoppable wattage of Clutch. Recorded simply with mics in front of the band playing live makes this album the heaviest sounding of any album in their career. Bassist Dan Maines affirmed that working with Powell gave the band "a new and fresh approach towards making an album that truly captures the live energy of Clutch in a way I don't think we've done before." The result is an indisputably full sound, one in which you can practically visualize Neil Fallon strutting around the stage to Tim Sult's heavy riffs. The weakness of this approach is that after 15 songs the album sounds tired and flat, suffering from a severe lack in sonic variation. Lyrically, Book of Bad Decisions is meant as something of a tome-like history of the band seen through the gaze of the aforementioned Fallon. References to "riding elephants", "weaponized funk" and even a song about Neil Fallon being elected president ("How to Shake Hands") are sure to gratify the diehard fans. Perhaps the strongest vocal one-two on the album is the heavy and groovy "H.B is in Control" paired next to swinging single "Hot Bottom Feeder". In the former Fallon is aggressive and villainous, surrounded by swirling guitars and a heavy rhythm section. While the latter finds the Maryland natives paying a humorous tribute to the crustacean that is such a vital part of the region's cuisine. However, these moments of life and levity that Clutch are known for are few and far between. While all the hallmarks of a Clutch album seem to be in place, this record never falls into any momentum and is stuck sounding sonically repetitious. Speaking on the new album, Neil Fallon remarked "I realize that there is a wealth of stories to look back upon as lyrical fodder. As the saying goes, 'You don't know where you're going until you know where you've been.' Not all the songs reference our collective experience as a band, but Book of Bad Decisions seemed like an apt name for these various chapters, whether factual, fictitious or somewhere in-between." Perhaps here lies the problem. At a loss with how to move forward, Clutch had to look backward. The result sounds tired, formulated, comfortable, and much too safe to be satisfying. If the album does one good thing, it's that it begs us to go back and listen to the catalogue of Clutch that was so bold and exciting.